Fans of Solid Snake can rejoice. Japanese publisher Konami has revealed that Hideo Kojima's groundbreaking stealth series is getting the HD treatment in a rather robust package for both Sony's PS3 and the Xbox 360. The game's creator himself was on hand at the Tokyo Game Show 2011 to confirm that the collection will also be made available for the PS Vita and Nintendo 3DS in 2012. The Metal Gear Solid HD Collection will be released in Japan on PS3 and Xbox 360 on November 23rd. No European release date has been announced yet. It's unclear at this stage if the home console versions will have exactly the same content as those produced on the handhelds. Konami says, however, the entire package will be released on a single Blu-Ray disc for the PS3 and will be split across two discs for the Xbox 360. Metal Gear Solid HD will contain some of the franchise's most popular titles including Metal Gear Solid 2: Sons Of Liberty, Metal Gear Solid 3: Snake Eater and Metal Gear Solid: Peacewalker. It will also include 'converted versions' of the first two MSX Metal Gear games as well as the VR Missions that were released alongside Metal Gear Solid 2: Substance. 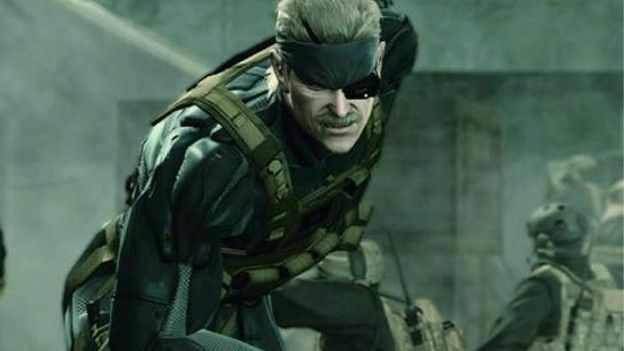 Konami says the Metal Gear Solid HD Collection will allow many PS3 and Xbox 360 users to experience these ground-breaking titles for the first time, but with the new visual and aural improvements modern gamers expect. Are you excited about the upcoming Metal Gear Solid HD release or keeping your gaming eye solely on the imminent Call of Duty: Modern Warfare 3 and Battlefield 3 arrivals? Let us know via the T3 Twitter and Facebook feeds.